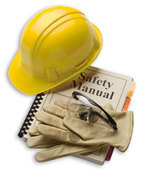 ​on work and occupational health and safety resources. 115 E. Martin Luther King Jr. St. Through community organizing, leadership development, popular education and policy advocacy, the Workers’ Center of Central New York empowers low-wage workers to combat workplace abuses and improve wages and working conditions throughout the community. The Worker Justice Center of New York pursues justice for those denied human rights with a focus on agricultural and other low wage workers, through legal representation, community empowerment and advocacy for institutional change. Multi-cultural and multi-lingual. We vigorously enforce state Labor Laws to give businesses that obey the law an even break. We work aggressively to ensure a fair wage for all workers. We protect the safety and health of workers and the public. We help the unemployed via temporary payments (unemployment insurance). We link job seekers with employers. We guide workers to training that will keep New York strong in the world economy.